The 76ers continue to remake their roster. 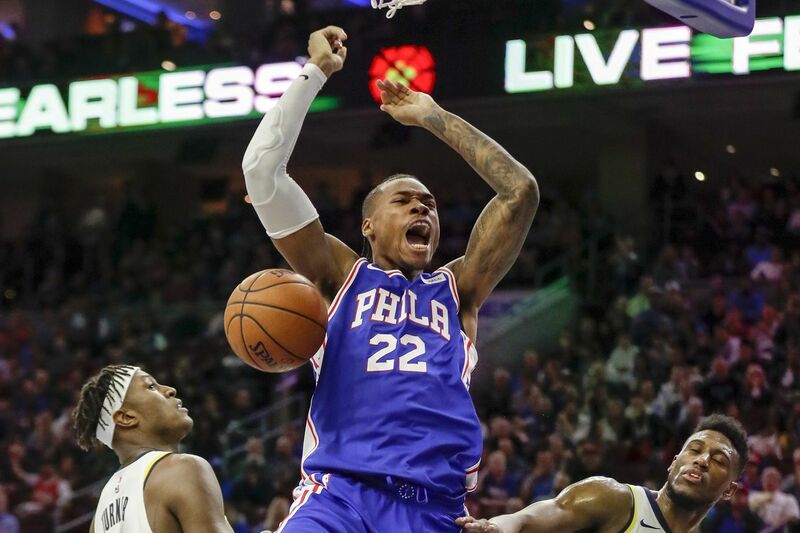 Friday morning, the team traded reserve center Richaun Holmes to the Phoenix Suns for cash. ESPN later reported that the cash was $1 million for Holmes, who had a non-guaranteed, $1.6 million deal with the Sixers. The move cleared the way for them to give power forward Jonah Bolden a four-year, $7 million contract. The last two years are not guaranteed, according to a source. Holmes tweeted, "All love Philly thanks for giving me a chance" and "PHOENIX WATS GOOD??????" These moves come one day after the Sixers agreed to acquire Mike Muscala from Atlanta in a three-team trade. However, sources told the Inquirer, the trade won't be completed in the coming days because the Sixers are working on another move. According to a source, the team has had discussions about trading Jerryd Bayless to the Cleveland Cavaliers for Kyle Korver. In the trade that also involves Oklahoma City, the Sixers will send swingman Justin Anderson to the Hawks and shooting guard Timothe Luwawu-Cabarrot to the Thunder. One source said the trade could take up to 10 days to complete while the Sixers pursue the other deal. Bolden's joining the team for this season should come as no surprise. Former Sixers general manager Bryan Colangelo said that was the plan back on May 11. Bolden reiterated that to the Inquirer on July 5. Jonah Bolden shooting against the Celtics during summer-league play last July. The hope was that he would have joined the team last season after being a second-round selection, the No. 36 overall pick, in the 2017 NBA draft. However, the Sixers didn't have a roster spot available for the Australian. So, on July 21, 2017, he signed a three-year contract with Maccabi Tel Aviv of the Israeli Premier League and the EuroLeague. But the plan was always for him to play there for just one season. He used the NBA out clause in his contract to join the Sixers this season. Bolden struggled offensively in this month's NBA Summer League and had a subpar season this year in Europe. In Holmes, the Sixers will lose a fan favorite. The 24-year-old averaged 6.5 points in 48 games, with two starts, this past season. The Sixers used the 37th overall pick on him in the second round of the 2015 draft. Holmes averaged 7.4 points in a 156 career games, including 20 starts.